HOT!!! 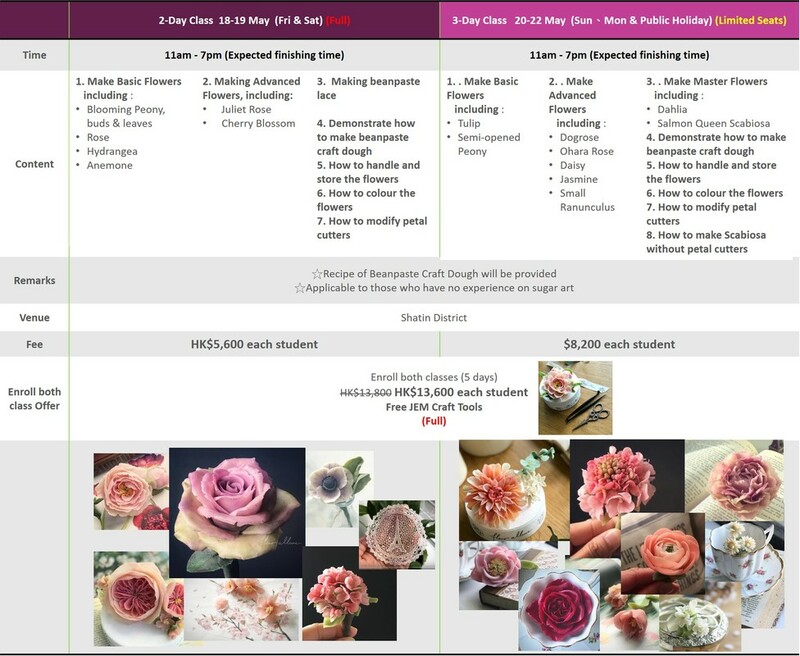 Beanpaste craft flower class will come to Cake Moment! Beanpaste craft flowers are very flexible and soft! We have invited Miss Sandy of Fleur Allure from Canada to teach such sugar art techniques! Miss Sandy as a professional instructor has travelled around Canada and many countries to teach beanpaste craft flowers. She will teach 15 kinds of flowers which some of them are newly created by Miss Sandy! And they are the first time to be taught in Hong Kong! Moreover, she will also teach you how to modify petal cutter! 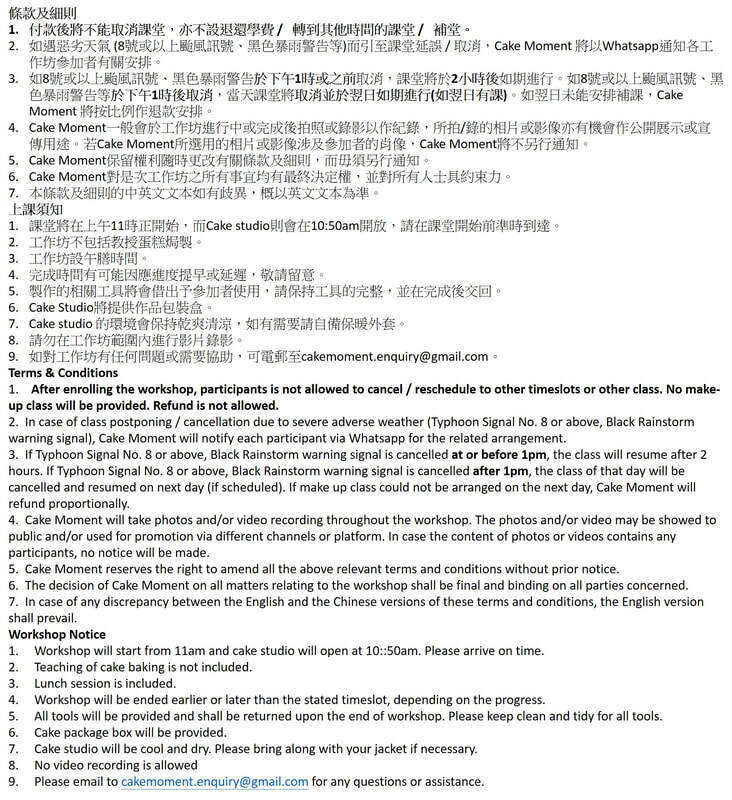 I have read the following terms & conditions and notice.